Shop us last! We’re here for you from beginning to end; from researching your vehicle to service after purchase. Make sure you schedule a test drive after narrowing down your search! There are five trim levels available for the 2017 Nissan Sentra. Each model carries its own unique qualities with each addition model adding on to the previous. Check out all the available trims and what they have to offer below. S – The entry level model of the Sentra sports a specialized powertrain – a 1.8L I4 with a six-speed manual transmission that gets up to 130 hp. Alongside this engine comes features like a Bluetooth Handsfree phone systems, cruise control, and Smart Auto Headlights. SV – The SV, SR, and SL all share the same engine as the S, but come equipped with an Xtronic CVT transmission that delivers 124 hp. This model also comes with Nissan Intelligent Key with Push Button Ignition, a 5-inch color display, and Bluetooth Streaming Audio. SR – The middle child of the Sentra series offers everything on the SV model PLUS 17-inch aluminum alloy wheels, LED low-beam projector headlights with LED accents, Premium Sport Cloth, and heated front seats. SR Turbo – The SR Turbo is best known for its 1.6L turbocharged engine with the ability to churn out up to 188 hp. But, the SR Turbo also comes with great add-ons to the SR like a power sliding glass moonroof with tilt feature. 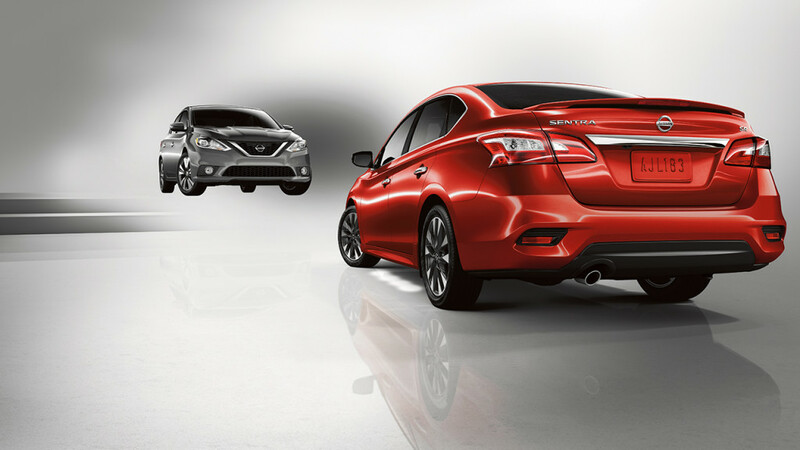 SL – The final trim level of the Sentra family is able to provide luxurious upgrades to the previous models. Some of these enhancements include leather-appointed seats, dual-zone temperature control, 17-inch aluminum alloy wheels, and fog lights. Though the trims may vary in feature availability, there are a few things that you can expect to enjoy regardless of your trim choice. Each Sentra model provides incredible fuel economy with the 1.8L CVT topping out at 29 mpg in the city and 37 mpg on the highway. Drivers can also count on receiving a wide array of safety features, great performance, and plenty of passenger and cargo space. The 2017 Nissan Sentra has so much to offer drivers and so many trim levels and feature options to choose from. It’s time for Haverhill drivers to take advantage of the great things that the Sentra can provide them with. To start the work towards becoming a proud owner of your own Nissan Sentra stop by Commonwealth Nissan today, we’re located in Lawrence right off of Interstate 495. You can also reach us through our website or by phone at (833) 360-3405.